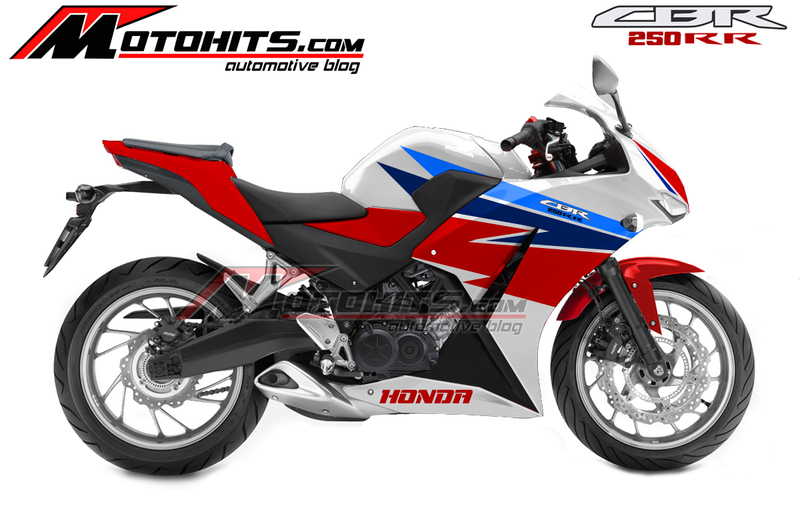 New twin cylinder Honda CBR250RR? Honda’s CBR250R was one of the first of the latest crop of small-bore sportsbikes. Aimed at the burgeoning SE Asian market, with a nod to entry level riders in Europe and the US, the single cylinder CBR has been a bit of a hit for Honda. Built in Thailand and India, the CBR is cheap, well-made, goes well for a 250 single, and has the looks of its bigger siblings. Hurray! And with last year’s boost in capacity to 286cc, making the CBR300R, it got even better. But the little CBR is still a level below the competition in the engine stakes. Yamaha’s R25 and Kawasaki’s Ninja 300 both have parallel twin motors, putting out 5-10bhp more than the CBR. And the KTM RC390 is a single, but a very high performance one, with much higher capacity. So wouldn’t it be great if Honda came up with a new, twin-cylinder 250? 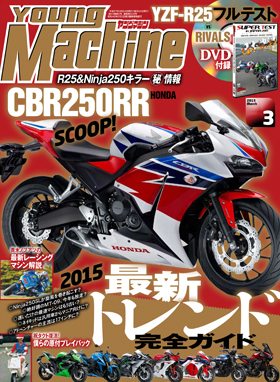 Well, the Japanese bike firm might have – and the Japanese magazine definitely has. Young Machine’s cover mockup is a masterpiece of its type, with the swoopy-spoked wheels and wave discs from a CBR650, CBR300 bodywork, and the word ‘Scoop!’ splurged across the top. Nice. But online bike mags in Indonesia – where this bike will be super-hot property – are suggesting that the new bike might be a V-twin, rather than a parallel twin. That would tap into Honda’s heritage – the VT250 and VTR250 have been around in various forms for years, and the VTR is a reasonably modern motor that could well form the base for a new design. On the other hand, a V-twin is pricier to make: machining two single cylinders and heads is more work than machining one dual-cylinder block and head. So that alone could price a V-twin out of the crushingly-competitive small sportster market.